My small family has begun a new tradition. Over the past decade, we have scattered all over the country. My sister has lived in Alaska and now resides in Boston. I was in Washington, and now I reside in New York. My parents hold down the fort in Nevada. So gathering for the holidays can be difficult to arrange. So this is our second annual Christmas-in-a-different-place-and-on-a-different-date. We’re still working on the name. 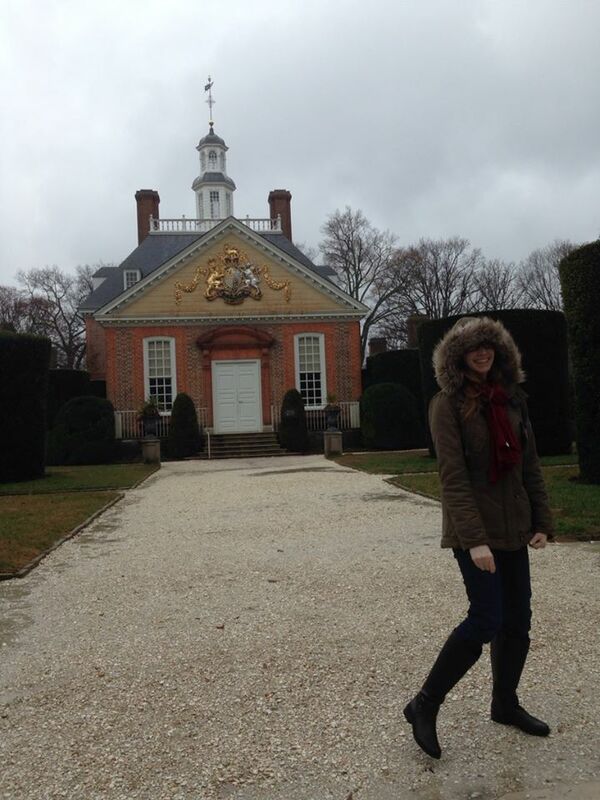 Last year, we met up in the Central Coast of California the second week of January and this year, we met up in Williamsburg, Virginia for the second week of December. And this was the first vacation I’ve experienced where it rained the entire time. 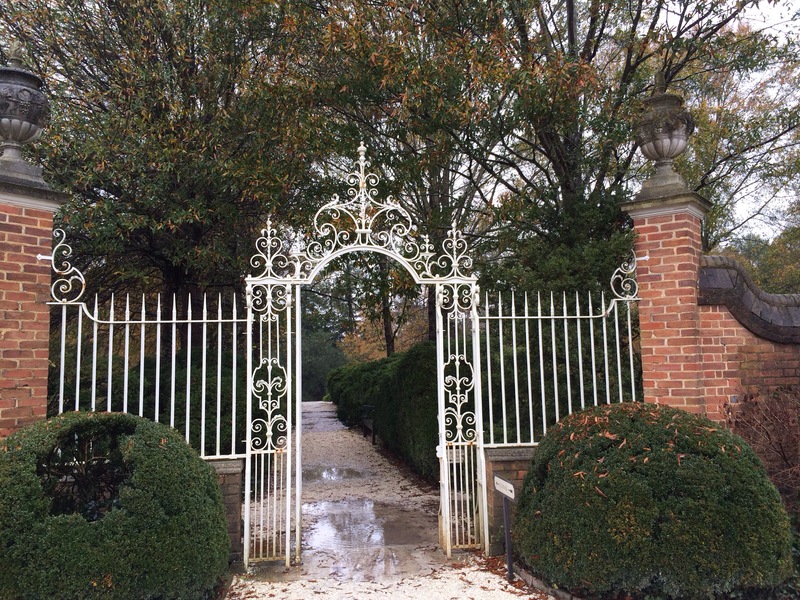 I’ve had plenty of vacations where there is a day or two where it is best to find indoor activities, but my trip to Virginia was all rain, all the time. We went to a couple of museums that had artifacts from the colonial period, and we went to a Christmas boat parade where Revolutionary War soldiers marched by with their drums and flutes. But I wanted more! I wanted to see people dressed in every day garb. The last day we were there, we sucked it up and went into the heart of Williamsburg and toured the Governor’s mansion. History makes me weak in the knees, especially when it is all done up like Williamsburg is. Our tour guide was dressed as a colonial servant, and she gave us the tour as if we were invited to attend the ball that evening. I loved the hokeyness of it all. I had grand dreams of becoming a re-enactor in my old age. I desperately wanted to wear the colonial garb. It was only $25 for a full day’s rental. Before the trip, I had imagined my whole family wearing the costumes with me. Instead they stared at me in disbelief. “Are you serious? Do you really want to do this?” My mom asked of me. I did! I did! But the pouring rain and the frigid temperatures led me to put that dream away for another day. 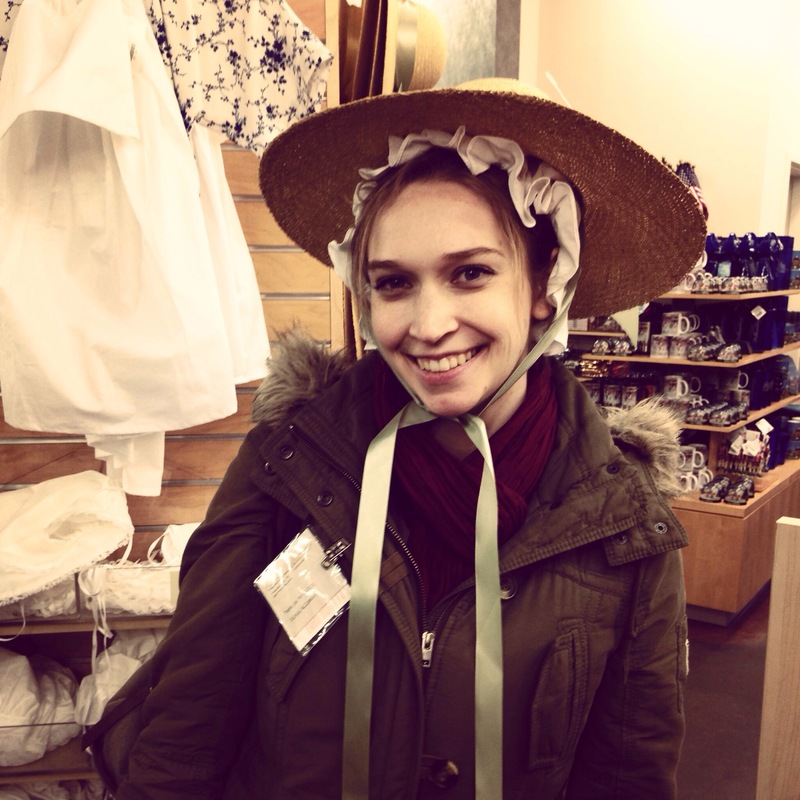 I settled for wearing a bonnet and straw hat in the gift shop. 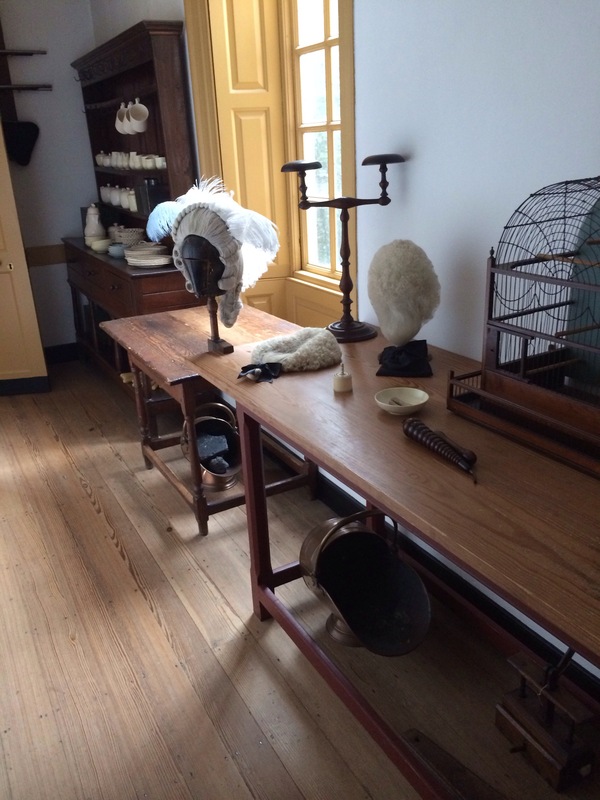 The wig room of the Governor’s mansion. I wish I had more time there. I wish I had more good weather time there. I’d love to go back and immerse myself in the history. It’s like an amusement park for nerds. I have decided upon a new rule for myself when traveling. Up until now, I have always had a ratio of 80% in a major city and 20% off-the-beaten-path. This needs to change. The truly amazing, awe-inspiring, life-changing moments I’ve experienced while traveling usually happen in the middle of nowhere, in a place no one has heard about. Case in point #1: Yoshino. Case in point #2: our road trip through Normandy. 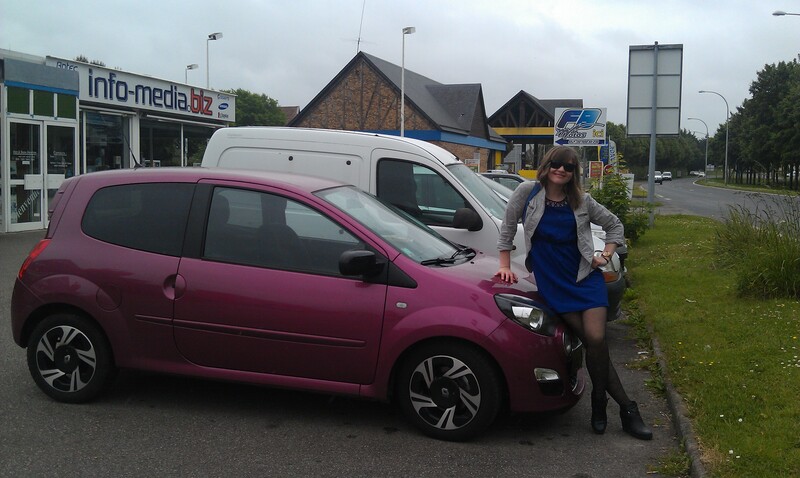 D and our Twingo which we dubbed Amelie. A bit of wary of driving in Paris, we decided to take a train to Versailles and rent a car there. Easier said then done. We ended up wandering around in the rain, trying to find a car rental place. We finally found our way to a Hertz station where two French men assisted us in broken English. What we gathered from them, though, was that they had given us their most pink car, since we were ladies and must like that sort of thing. As we prepared to leave the lot, I ran in quickly to ask them which way to the highway. The cute boy with bright, blue eyes looked at me worriedly before rushing into a back room. He brought out a GPS unit and showed me how to work it. “Uh, it’s no charge….um…but that’s…exception for you.” He was truly our hero as we would have been quite lost without it. 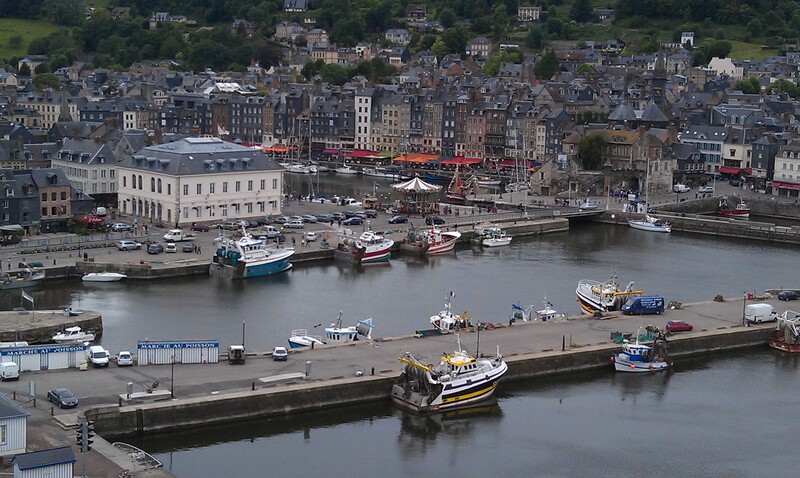 View of Honfleur from the Ferris Wheel. We had reservations at a bed and breakfast place in a tiny town called Torigni-sur-Vire. But along the way, we made a detour to the north at a small fishing village called Honfleur. Dr. G had recommended it to me as his favorite place he has ever been. Dr G has yet to steer me wrong in life. Honfleur was possibly the highlight of my entire France trip. Everything about it was charming. From the chocolate museum with mechanical beavers making chocolate to the old Ferris Wheel to the old man painting the carousel to the apple brandy liquor to the fresh mussels caught that morning. We would have loved to stay longer, but we didn’t want to be late to check into our B&B. 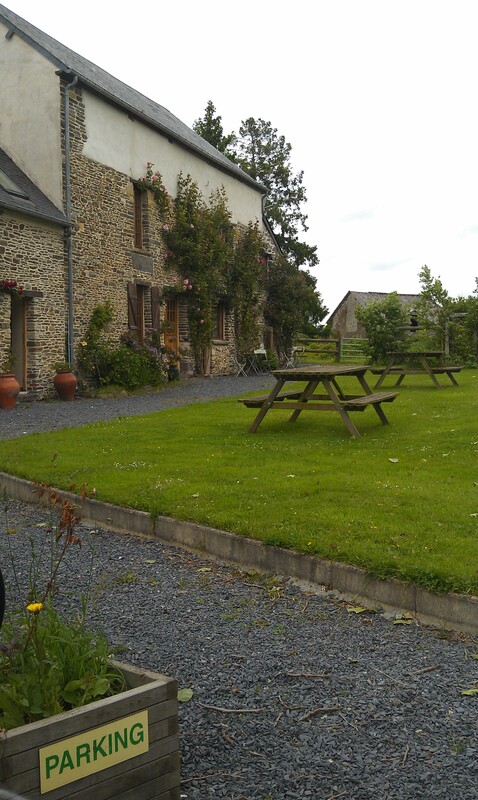 After much skillful driving along winding roads, past cows and other speeding French drivers, we found the B&B where we were to stay two nights. As we pulled up, a smiling man waved eagerly at us. This was Dean. He directed us where to park and as we got out of the car, he introduced us to him and his wife, Suzanne. I can’t say enough wonderful things about them. They were two of the warmest people I have ever met. Kind, happy, eager to learn everything about us. We were likewise interested in learning about them. Their story is a tale that proves happiness is possible, and it’s never too late to lead a life you love. They originally owned their own law firm in Manhattan, but they didn’t like the hustle and bustle of city life. 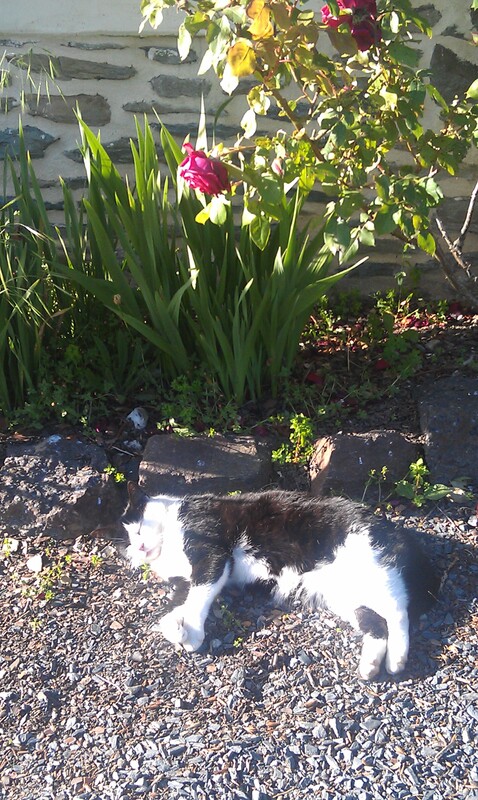 Dean is British and had always loved the French countryside. So one day they packed up, moved to France, and opened La Beauconniere. She has a passion for horses and cooking, and he loves history and gardening. They share this with the visitors that pass through. Dean calls himself a collector of stories. He loves to learn about his visitors. They advised us to get dinner at a small bistro in town. We drove through the tiny town with one streetlight. We drank Calvados (apple brandy made in the region, 40%, not for beginners), and I ordered a Nicoise salad. The lettuce in the salad was so fresh and flavorful. I was in heaven. We went back home and crawled into our big comfy bed with the windows wide open to let fresh air in. We slept like the dead. 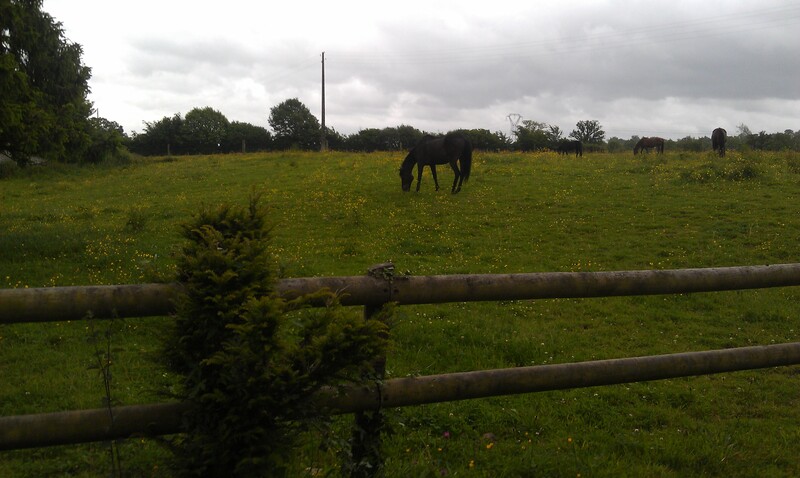 The next day I had made arrangements to spend the day horseback riding through the countryside with Suzanne. But there were huge gusts of wind, and Suzanne was worried about the horses getting spooked and didn’t want to not be able to communicate with each other. She offered to take me out the next day, but we had to return our rental car by a certain time or face a huge penalty fee. I was disappointed, but Dean promised to map out a good sightseeing day for us. 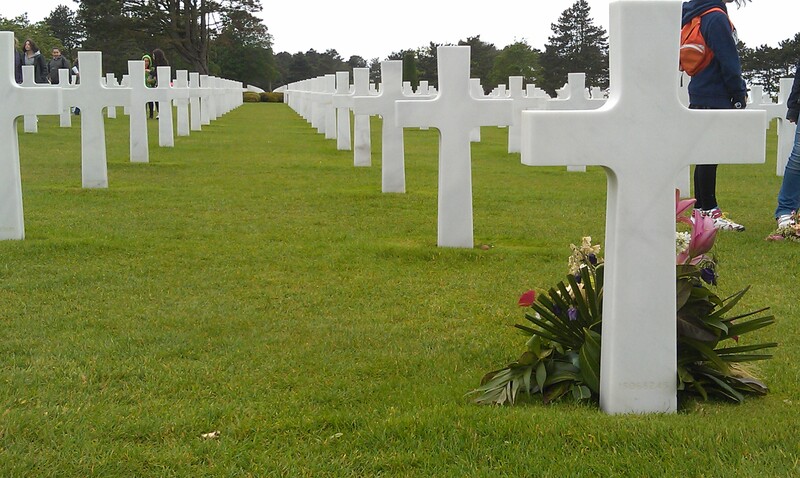 We headed to the D-Day beaches and in particular Omaha beach where the American cemetery was located. It was fascinating to see what those men had to go through, the long beaches and dunes they had to cross over. It was a moving experience, and I’m so glad we got to see it. There was a quote engraved there that stood out to me. Amazing to see you much of the war came down to that one moment, that final hope to free France, all the countries that worked together to make it possible. USA, England, the French resistance. Astounding. Afterwards we drove to the small town of Bayeaux to see the Bayeaux tapestry which was made in the 11th century depicting the Norman conquest. A stark contrast between the two wars and what people have fought for over time. Our next stop was going to be Mont-St-Michel, but our trusty GPS broke, and we were nervous about getting too lost. So we found a convenient store with some maps and made our way back to Torigni sur Vire. Once there we found a little pub that was open, bought some beers (whilst noticing a black cat napping on the bar) and played darts. Naturally. 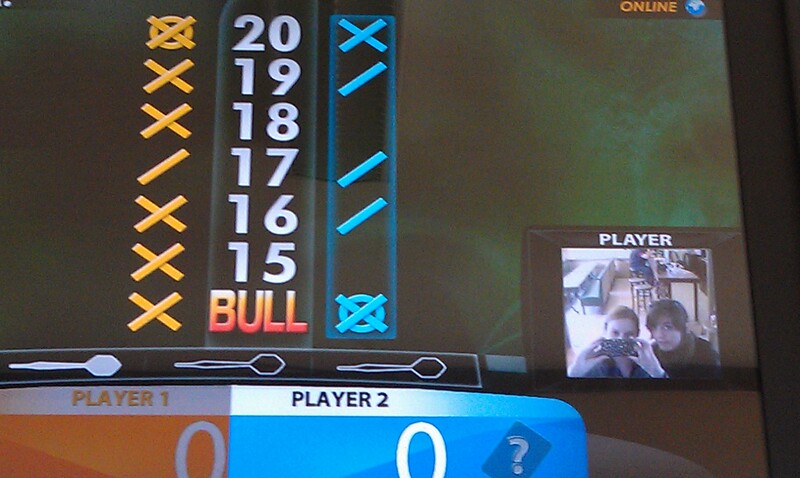 D proved to be a formidable opponent. Once we started feeling a bit hungry we headed out to wander around the town. We stopped in a bakery to grab fresh baguettes, a liquor store to buy a bottle of cider (apples are big in that region), a grocery store so D could pick out some smelly French cheeses, and a butcher to buy some sausage. Back at La Beauconniere, we ate our humble feast and followed it up with some more Calvados brandy. D fell asleep early while I took a long shower, played with the cat Jake, gazed dreamily at the horses and wrote a little. Jake resting in a sunbeam. The next morning we said our goodbyes to Dean and Suzanne while they packed up some baguettes, homemade pear bread, and what was left of our stinky cheese, so we could snack on the road. We drove back to Versailles to drop off the car and spend the day at the palace. After our amazing countryside experience, it was difficult to stomach the mass amounts of tourists. The palace was interesting to see, but we ended up rushing through it, trying to get away from the crowds. The gardens were beautiful, and it was good to get fresh air after being herded like cattle from room to room. If I were a wealthy Queen of France, I think I’d rather stay at La Beauconniere as opposed to Versailles. Here are some things I’ve been whining about lately. My right calf has been really itchy. I’m hold #166 on a book I really want from the library. My tax return was not nearly as large as I thought it was going to be! I want a kitten sooooo bad. It’s times like this in life that we all need to read a quit-your-bitching book. This is it. 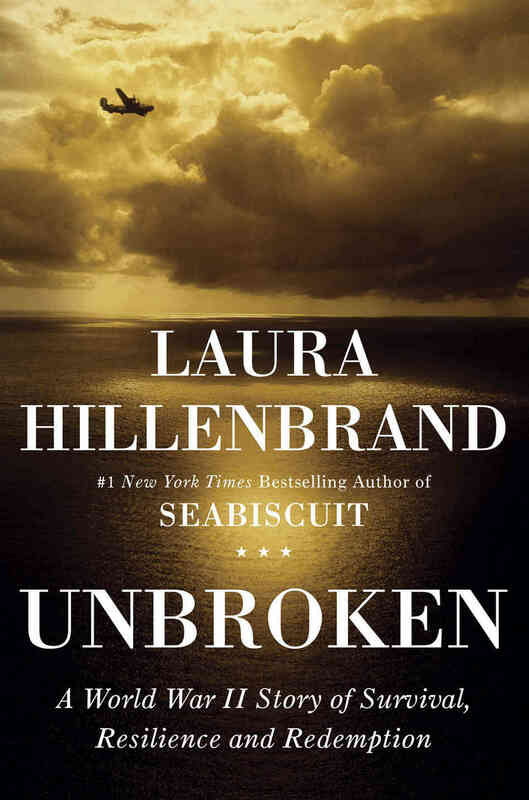 “Unbroken: A World War II Story of Survival, Resilience, and Redemption” by Laura Hillenbrand is guaranteed to pull you out of your high-pitched, teary-eyed funk. I must emphasize this isn’t a quit-your-bitching book in the vein of “The Jungle” or “Angela’s Ashes” where you just feel depressed and want to give up on that cruel world. This book is positive, optimistic. It follows the true story of Louis Zamperini whose plane crashed in the Pacific in WWII. He survived in a raft for weeks only to become a POW in a Japanese internment camp. Yet he held on to hope and spirit. It’s unbelievable what the human body can survive, what the mind can endure. Had a bad day, huh? Were there sharks circling your deflating life raft, lunging at your face? Were you forced to sleep in a hut with your own feces as a pillow? Did anybody beat the dignity out of you with a bamboo shoot? Is your answer no? Then I think your day isn’t going half bad. I recently read Hillenbrand’s first book “Seabiscuit” which is also an excellent book. She is good at holding interest, suspense. Her writing style is fluid and poetic. But where “Seabiscuit” was an entertaining tale, this is another level of empowerment. And if you need some empowerment and are too lazy to read a book?